I was recently sent a Zibits mini r/c robot to review. These little guys are reasonably priced and my kids really enjoyed trying ours out. Tristen, 13, spent over an hour playing with it. His only complaint was they are pretty limited motion wise. But, it was still enough to keep him amused for awhile. I've caught him playing with it several times when he was bored. This pint sized robot was a hit with the whole family! They would make an excellent gift! 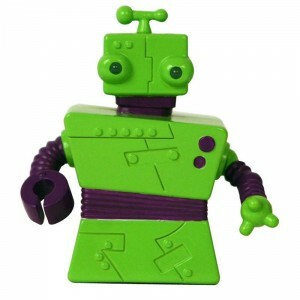 "Every Zibits comes with a name & back story on the package, giving each robot his own personality! Late summer/early fall 2010, Senario will release groundbreaking play sets – including a lab, mine shaft and race track – so kids can form their own Zibits buildable and expandable communities. Finally, kids an active way to play – through a remote control that they operate – unlike other toys where they just push a button and watch ‘em go." Check these little guys out!